The A-7050 Nurse Call Console is the central point of the system, able to receive two levels of calls and communicate with up to 50 room stations. The optional 30-call add-on selector allows expansion up to 80 stations. The membrane-style control panel is simple to use, has tactile switches, and is mar-resistant and moisture-resistant, resisting damage from spills. 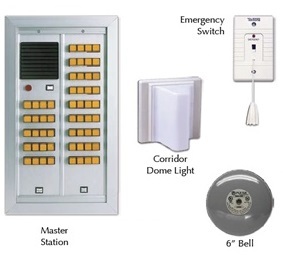 The master station includes a handset for voice actuated communication, with a magnetic hook switch (no moving parts). Controls include TALK button for “push-to-talk” communication, TONE OFF button to silence call tone, and OFF button to conclude communication. Easily adjustable voice and tone volume controls are located on the side, with all other volume controls located on the bottom of the unit. 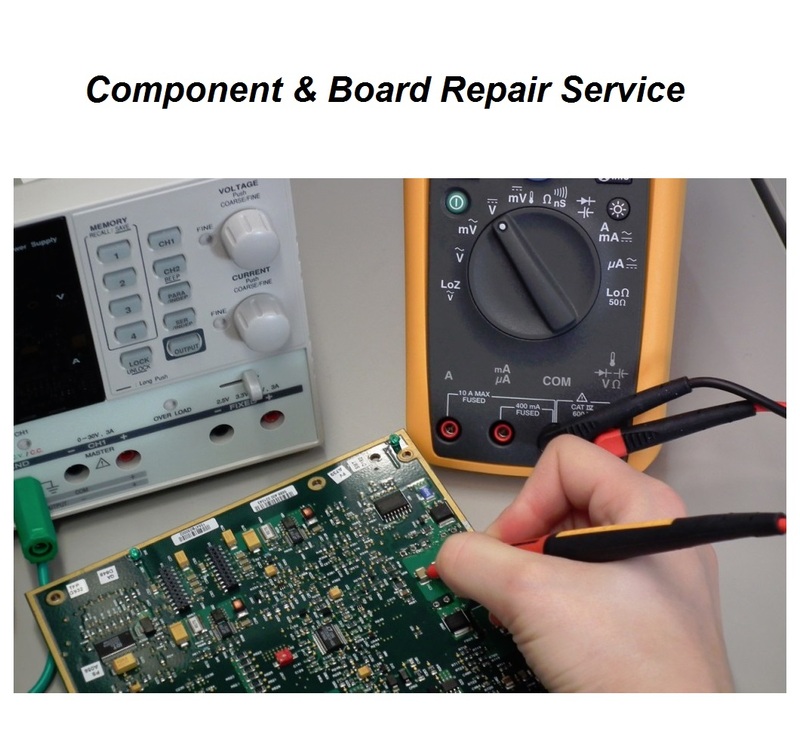 Routine calls are annunciated with a slow flashing LED and an intermittent call tone. Calls from a bath station annunciate a faster flashing LED and faster tone. Bedside cord pulled out of patient station sounds rapid tone and activates fast flashing LED. Pick up the handset or press TALK to answer, and the highest priority call will be automatically connected. Hang up handset or press OFF to conclude. To initiate a call, press the room station selector button and TALK button, or pick up handset. Bathroom calls have priority over routine calls, and will be answered first. Otherwise, calls will be answered in the order received. 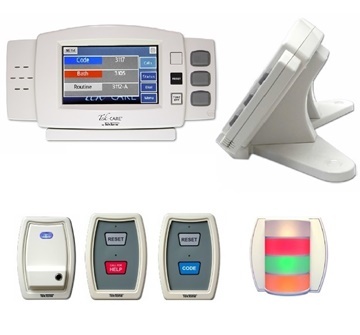 The Cornell 7000 CommuniCare System is a UL 1069 Listed nurse call system providing staff alert and communications for a variety of health care applications: nursing homes, elder-care facilities, clinics, sub-acute wards, and hospitals. The system is compact, easy to use, and provides the highest quality voice communication, allowing staff to efficiently assess the needs of patients. 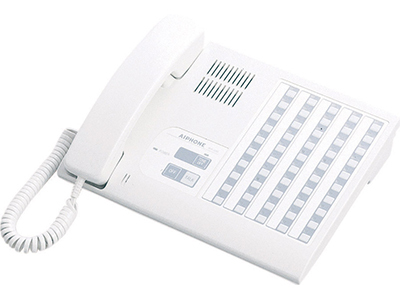 The 7000 features a 50-call master station, with an optional 30-call add-on selector for capacity of up to 80 call stations. 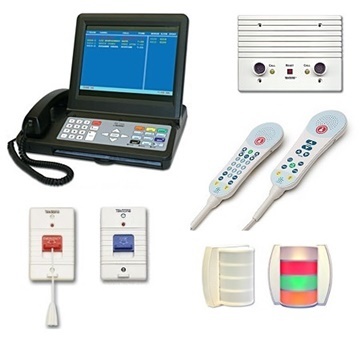 Single or dual patient stations with bedside call cords, bathroom pull cord, dual-bulb corridor lamp, duty station, zone light, and common area call stations are all integrated to create the calling and communication system to fit the needs of a variety of health care facilities. 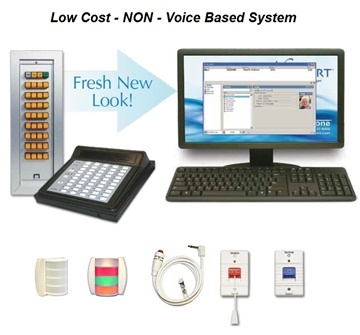 With the audio nurse call systems from Cornell Communications, there’s no need to learn new terminology or become a computer whiz to use the equipment. This highly intuitive system is designed for unparalleled easy-of-use and simple operation. This simple, easily understood, and highly functional system allows your staff to focus on providing superior care, not spending all their time deciphering a complicated emergency communication system. The Cornell Communications Audio Nurse Call system also offers expansion capabilities able to accommodate facility growth and development while increasing the level of sophistication and functionality. The Cornell Communications Audio Nurse Call 4500 Series will maximize the return on your call system investment in terms of functionality, productivity, and profitability.